A 66-year-old woman was mauled to death by a huge crocodile on the Indonesian island of Sumatra, police said Saturday. The Indonesian woman’s family and neighbours launched a search after she failed to return home from a riverside garden near the remote village of Teluk Kuali in Jambi province earlier this week. 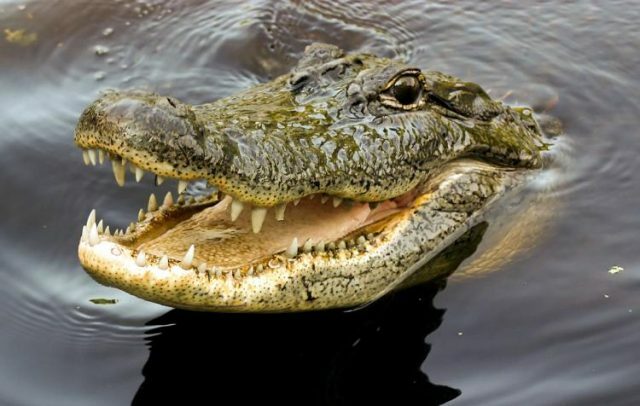 Locals became suspicious she had been attacked after seeing a huge crocodile near a boat containing her belongings, police said. “Residents found the lifeless victim floating on the edge of the river,” Kuswahyudi Tresnadi, Jambi police spokesman, told AFP. The crocodile had eaten the lower half of her body and both hands, Tresnadi said. The Indonesian archipelago is home to a vast array of exotic wildlife, including several species of crocodile that regularly attack and kill humans.